If you’re anything like I am on this historic day in the United States, you’re probably sitting frenetically on the edge of your seat, looking for exit polls and waiting impatiently for the first election results to roll in. I know I’m certainly there – I’m such a big politics hound that the presidential race is just one of many, many things I’m following today. Today’s events are a big distraction right now for me, for you, and for millions and millions of other people on both sides of political discourse. While it’s great that so many people are engaged in the future of this country, it’s also a gigantic distraction. A good chunk of America isn’t really working today – and that means many millions of hours of lost productivity – and lost opportunity. Take me, for example. Even though I have a deep, passionate interest in this election, I also know I have several projects I need to be working on right now and, even though I’d rather be following the news, I know I need to keep my nose to the grindstone. Today is a great day to get ahead of the “competition” because so many people are focused on other things. 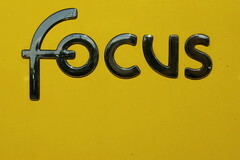 Here are seven great tactics for focusing on the task at hand, useful today and any other day when distractions abound. If you’re in an environment where things are chaotic and you have no real clear place to focus on your work, it’ll be very hard to focus. Your mind will find ways to distract itself using whatever is at hand. The best way to combat this kind of distraction is to clear your work area of distractions. Move all of the things that aren’t related to the task at hand far away from the space where you intend to work. Communications devices are another form of distraction. That includes cell phones, the internet, your landline phone – even your office door. Close your web browser. Shut down your email program. Turn off that cell phone. Unplug your landline phone. Close your office door and stick up a “do not disturb” sign. Even better – put a little blank piece of paper on your desk, along with a pen. If you’re in the middle of a task and something important pops into your mind, jot it down on that piece of paper and keep on going. You can deal with the contents of that note later. Come up with something realistic that you can actually accomplish in the time you have. Don’t bite off more than you can chew. In fact, you’re often better off picking two or three smaller pieces instead, then working through those one at a time. What if you’re just facing one singular gigantic project that you won’t get done today no matter what? Identify some smaller elements within that big project that you can complete today. Writing a book? Make it your goal to add 1,500 words today. Find that little piece you can do and set it as a clear goal. Once you know your goal, visualize the steps you’ll need to work through in order to get it done. What will you do first? What follows that? Jot it down – it helps you to make your plan clear. Just a bit of visualization up front can help you quite a bit when executing your task. Regular breaks to re-fuel with food, drink, and a bathroom break are essential – without them, you can quickly lose mental acuity. Plus, these breaks allow you to catch up on any important news you might be following. Of course, if you’ve managed to slip into a “flow” state – when you get deeply engrossed in a project and lose all track of time – don’t interrupt that flow state just to take a break. Instead, ride that wave for as long as it lasts and then break when you’ve lost that focus. The time you spend in a “flow” state is invaluable – don’t break it because of something arbitrary. I find it quite useful to use an online timer to help me with scheduling regular breaks and managing my time throughout the day. I often use the “countdown” mode and set it at two hours. Sometimes it can go off and I barely notice it – I just quickly turn it off and keep going. But if I’m not really focused, this alarm tells me just when to go take a break, reload with a nutritious snack, catch up on the news, and so on. My reward is usually pretty straightforward. If I meet my work goals for the day, I allow myself fifteen minutes or so to meditate, followed by thirty minutes in a quiet room where I either read or play a strategy game on my Nintendo DS. It’s a very simple reward that doesn’t cost me anything, but the thought of that peaceful time really helps me keep focus throughout the day. Without such a reward, I find it very easy to let down my guard during the day – and when I do that, I find myself browsing political news and wondering where all the time has gone, lamenting the things that I should have done.